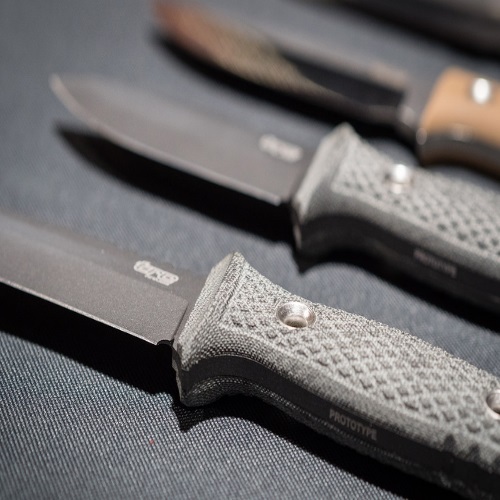 Between hunting, fishing, self-defense, & everyday tactical uses, there are countless reasons why you should be carrying a knife and we’re here to help! Whether setting up a campfire, opening an envelope, making a salad, cutting a wire – you’ll be glad to have the Ka-Bar Acheron skeleton knife by your side. Practical, aesthetic, and effective, the Ka-Bar Acheron Skeleton Knife is one of the most sought-after blades on the market today, and for good reason – learn all about it now! The Ka-Bar Black Tanto knife is actually not an homage to the beloved, old-school television character, but a modern-day take on an ancient Japanese sword. 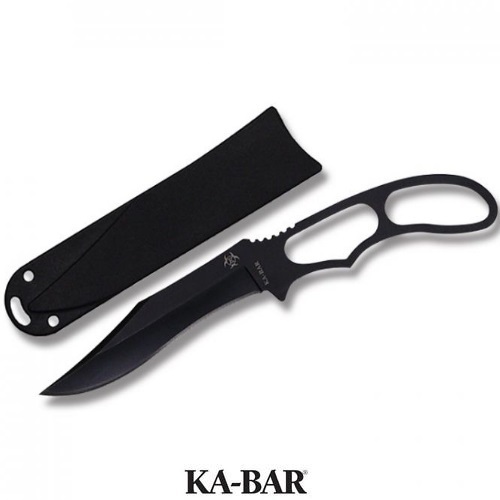 Functional, handy, and cool, the Ka-Bar Black Tanto Knife is one of the most popular and effective blades available for knife enthusiasts today. The Ka-Bar Becker Tac Tool knife is actually more of a multipurpose hammer/cutter/digger/chopper/saw/ax/very sharp prying tool than an everyday carry knife. 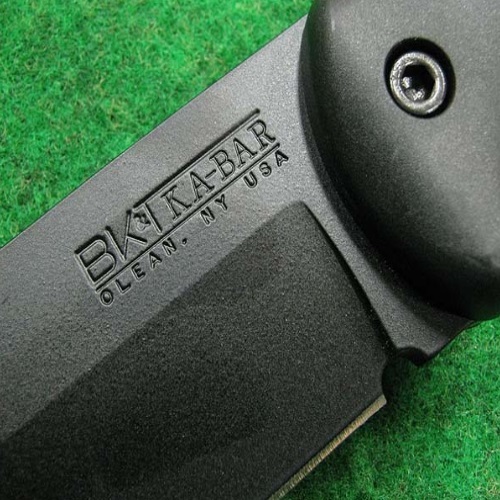 Want to know the ins and outs of the Ka-Becker Tac Tool Knife? Want to know how to get the most out of this epic blade? Read our new feature to find out! Seeing the Ka-Bar black serrated edge knife in action was so powerful that I just had to tell the story. Till this day, I still choose to carry a Ka-Bar. 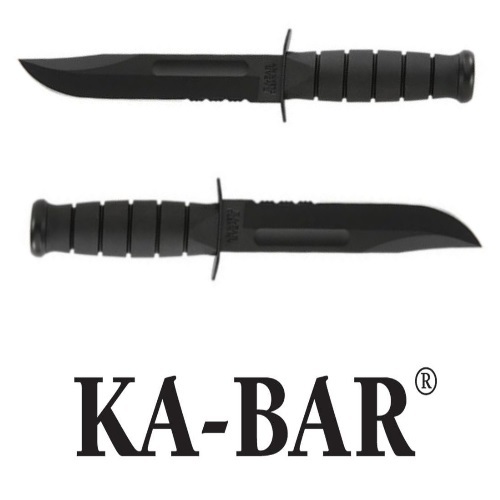 The Serrated Edge model is one of the most widely used and acclaimed knives made from Ka-Bar’s impressive and vast lineup of knives. Check out our feature on it right here! 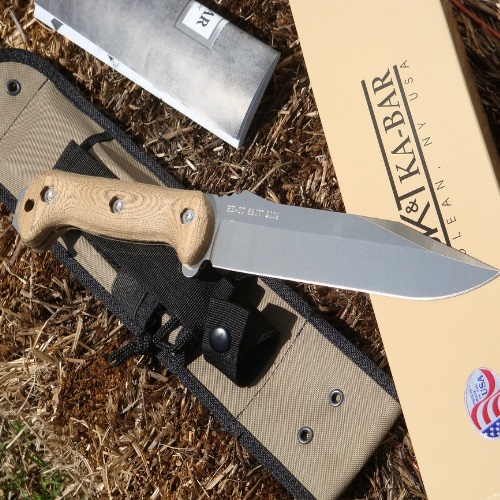 The Ka-Bar Becker BK2 Campanion knife is a full length, fixed blade, ergonomic survival knife. It is high quality, durable, and up for just about any task. 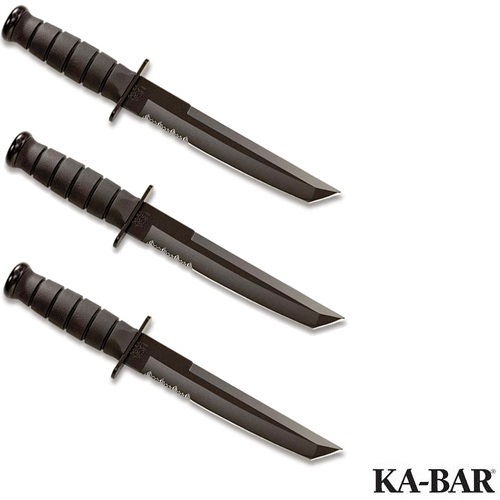 There’s a reason why the U.S. military chose Ka-Bar USMC Fighting Knife for its troops – it’s a jack-of-all-trades and has thus been popular for 70+ years. 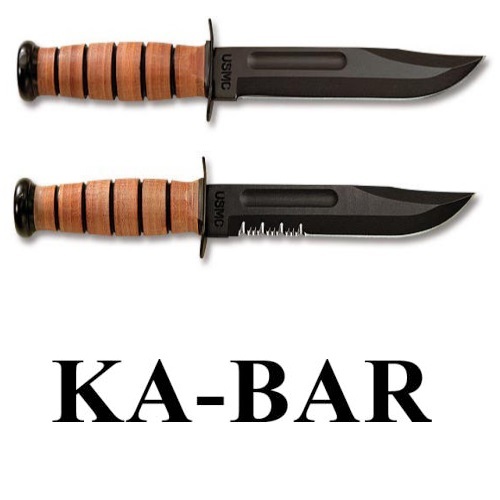 Whether for use by law enforcement, military, or private citizens, the Ka-Bar USMC just gets the job done, and always has. Read all about this incredible knife right here at Gunivore!